Grainger’s dedicated metalworking specialists help work through challenging metalworking applications and identify cost-saving solutions. Our team of specialists is comprised of individuals with hands-on industry experience in a variety of applications. Click here for more information or contact your Grainger Rep to set up an appointment with a Metalworking Specialist today! 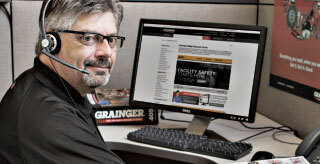 Grainger’s Technical Product Support Specialists have the education, field experience and training to provide answers to your product questions, fast and free of charge. Help extend the life of your tools with an innovative process that regrinds a wide variety of tools to manufacturer tolerances. Certified engineers provide solutions to help protect operators and others from rotating parts, pinch points, flying chips and related hazards. 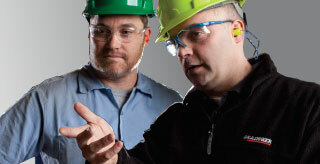 The help you need to facilitate compliance with OSHA's Lockout/Tagout Standards. Get expert help with your lockout program development, written procedures, compliance training, inspections and audits. Get control of your inventory and help take costs out of your business. Choose from a variety of solutions to help you save time, space and money. Get the custom band saw blades you need, specific to your sawing application. For even more insights, visit the Knowledge Center.